The CS225 and CS231 are custom temperature sensors strings with output from a single SDI-12 signal. The CS225-L is a string of temperature sensors mounted in reinforced steel cable, which can be used in any environment where temperature profiling is required. It uses reliable SDI-12 digital technology for easy system integration. 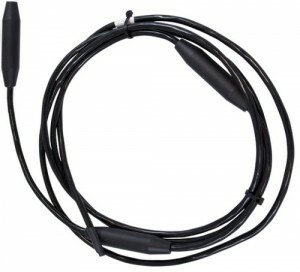 The CS231-L consists of a rigid probe assembly and up to four optional external temperature probes. The rigid probe assembly maintains the precise position of the temperature points within the profile, while protecting the temperature sensors in all mediums for the long-term. The CS231-L is suited for a wide variety of applications and environments, such as in roadbeds, soils, and water (snow and ice). Each CS225-L or CS231-L is custom manufactured to the client's requirements.